Only three centuries ago, setting out to climb a mountain would have been considered close to lunacy. Mountains were places of peril, not beauty, an upper world to be shunned, not sought out. Why do mountains now hold us spellbound, drawing us into their dominion, often at the cost of our lives? From Tibet to Australia, Alaska to Norway armed with drones, Go-Pros and helicopters, director Jennifer Peedom has fashioned an astonishing symphony of mountaineers, ice climbers, free soloists, heliskiers, snowboarders, wingsuiters and parachuting mountain bikers. 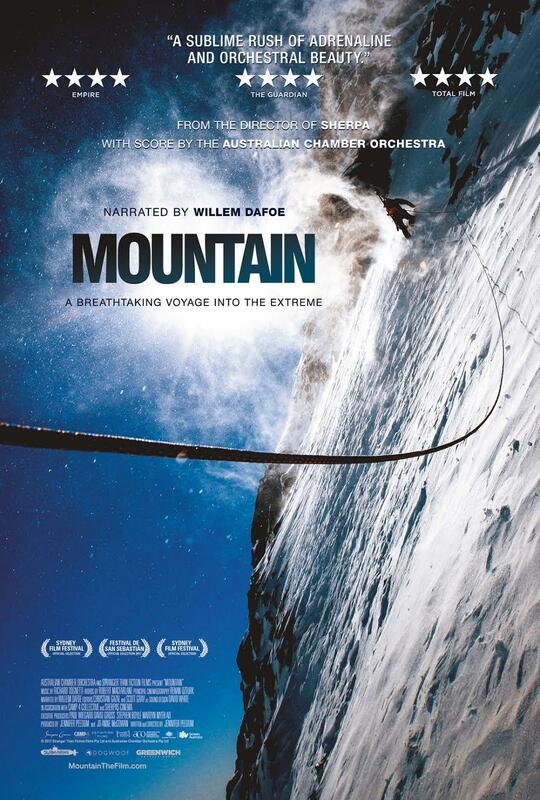 Willem Dafoe provides a narration sampled from British mountaineer Robert Macfarlane’s acclaimed memoir Mountains of the Mind and a classical score from the Australian Chamber Orchestra accompanies this majestic cinematic experience.